Support SeaShare with a click! The seafood industry provides over a million jobs in the U.S. Our partner, The National Fisheries Institute (NFI) is telling stories about the seafood industry, and the people who work in it, to raise awareness about the need to protect seafood jobs and the communities that rely on them from trade policies that hurt the industry and put those jobs at risk. We are in Barcelona this week, attending the SeaWeb Seafood Summit, the world's premier conference on seafood sustainability. 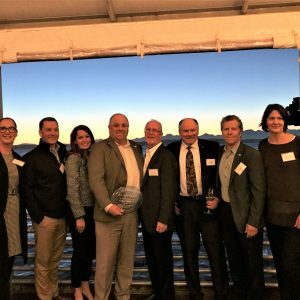 Back in March we were invited to attend, as SeaShare was selected as one of 17 finalists in four categories: leadership, innovation, vision, and advocacy. Nearly 100 nominations were submitted for the award, and we were excited to be selected as a finalist. Fighting hunger is a team sport, and today the National Fisheries Institute's Future Leaders helped us sort 19,000 pounds of food at Feeding South Florida Food Bank, in Miami. We're so grateful for our partnership with NFI and the Future Leaders, who every year help SeaShare access more seafood for hunger relief across the U.S. A big thank you to Feeding South Florida, for hosting us, and for being a great partner in the fight against hunger in Florida. E&E Foods: Workplace Giving - Giving Back BIG! E&amp;E Foods has done workplace giving campaigns in support of SeaShare since 2010. 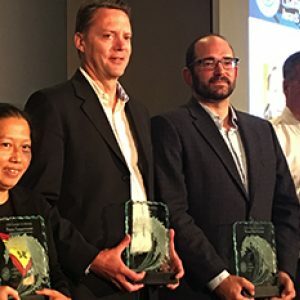 E&amp;E went into their 2017 campaign with the equivalent of 600,000 servings of seafood donated in all previous years combined, with all donations matched 1:1 by the company. We are excited to announce that we have teamed up with Khavyar, an online caviar purveyor based in New Orleans, to improve nutrition at food banks. Seafood Leader Partners with SeaShare to Donate Nutritious Seafood to Food Banks Across the U.S.
SeaShare, a National Non-Profit, Partners with Major US Seafood Companies to Donate 2 million Servings of Seafood in Houston and Miami, and Across the U.S.
We have freight, cold storage, and food bank partners lined-up and ready to receive your seafood donations. 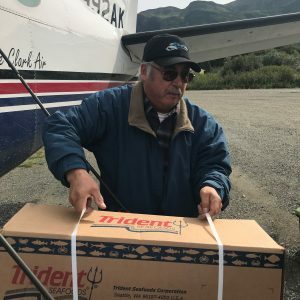 Generous seafood companies have already pledged over 100,000 pounds of salmon, pollock, and catfish, but the need is great and will continue in the weeks and months ahead. Please join NFI and other seafood leaders who are responding to this immediate need. Call or email us with your pledge. We will ensure your donation quickly gets to people struggling to get back on their feet after these devastating storms. 206-842-3609 / jharmon@seashare.org / www.seashare.org Thank you! 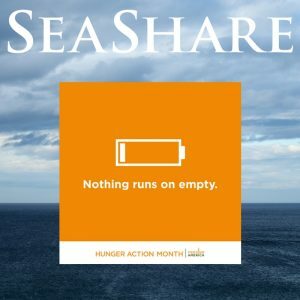 September is Hunger Action Month, and SeaShare is joining our partners in the fight against hunger to raise awareness about the 42 million Americans who struggle to get enough food to eat, because nothing runs on empty. 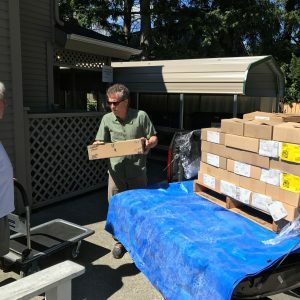 We had the pleasure of delivering 650 pounds of canned sockeye salmon to Helpline House, on Bainbridge Island, WA today. 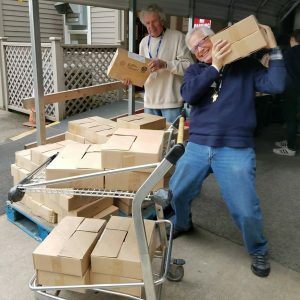 Helpline House is a nonprofit that offers an array of much needed services for our neighbors on Bainbridge, our hometown, including a food bank, social services, a counseling program, and a medical equipment loan program. The salmon was generously donated by North Pacific Seafoods. Do you love Fred Meyer? Do you love SeaShare? Shop at Fred Meyer using your Fred Meyer Rewards Card and support SeaShare through the Fred Meyer Community Rewards Program!